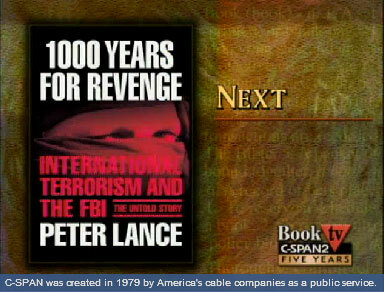 Peter Lance discussed his book 1000 Years For Revenge: International Terrorism and the FBI — The Untold Story, ReganBooks. The book examines the FBI’s role in combating terrorism and U.S. intelligence about the attacks of September 11th. He writes that prior to the attacks the FBI had missed dozens of chances over the last ten years to prevent the attacks. Mr. Lance interviewed people involved directly in the case and examined recently declassified documents to compile his story. He responded to questions from members of the audience.